i can’t believe that 2015 is already here! it’s going to be a big year for us – lots of goals and plans to fulfill! as i’ve been thinking about new year’s resolutions, i realize just how un-creative mine are. i think they’re ones that most people resolve to do every year and then stop trying after january 10th or so. be that as it may, here are my top 3 goals for 2015. maybe if i write them here i’ll feel some sense of needing to accomplish them. that doesn’t mean being a health nut. it just means not stocking my freezer full of ice cream or over-doing it with the candy on holidays, eating less cereal and more nutrient-rich breakfasts, etc. maybe even switch to whole-grain bread instead of white? especially after being sick for the past 2 weeks, this one is high on my list! i’m no extreme couponer and i don’t plan on becoming one. i just want to make my shopping trips more deliberate, to have a plan and to stick to it. it really comes down to self-control for me – so many times i start off the month really well only to go over budget in the end. 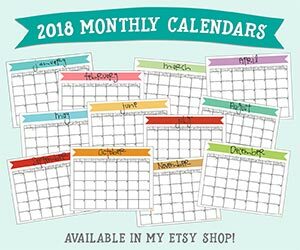 this weekly meal planner (etsy shop item) has helped me out a ton with saving money on groceries. but in other shopping-related items i still feel like there’s some room for improvement. maybe i’ll make it a game…i would love to see how much money i can SAVE every month! anyway, those are my top 3 goals for this year. do yours look similar to any of mine? maybe i’ll try focusing on just one goal each month (baby steps), and write it underneath the banner portion of my calendar as a constant reminder of who/what i want to become. or maybe i’ll write in specific tasks to do on certain days of the month to help me stay on track. 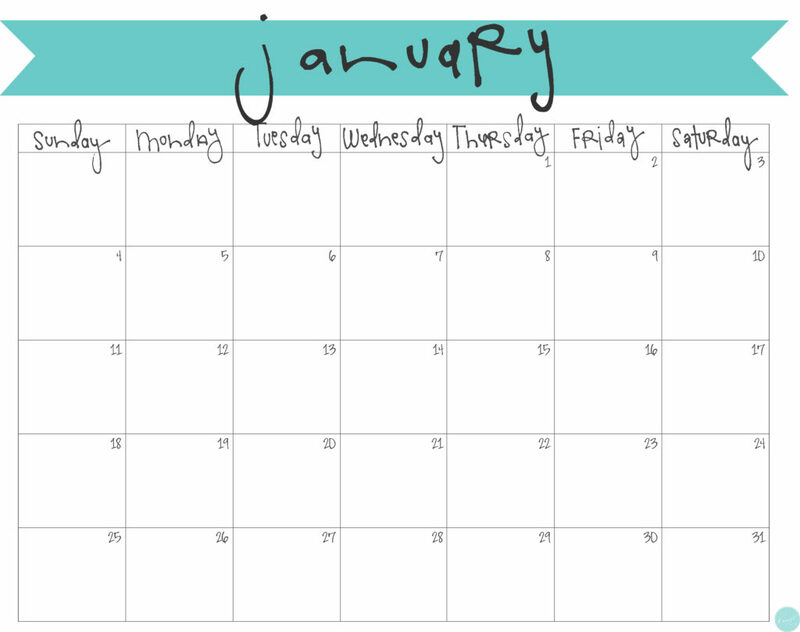 either way, here’s your freebie calendar for january! mine is printed off and ready to go. i can’t wait for a brand new year and a brand new beginning! 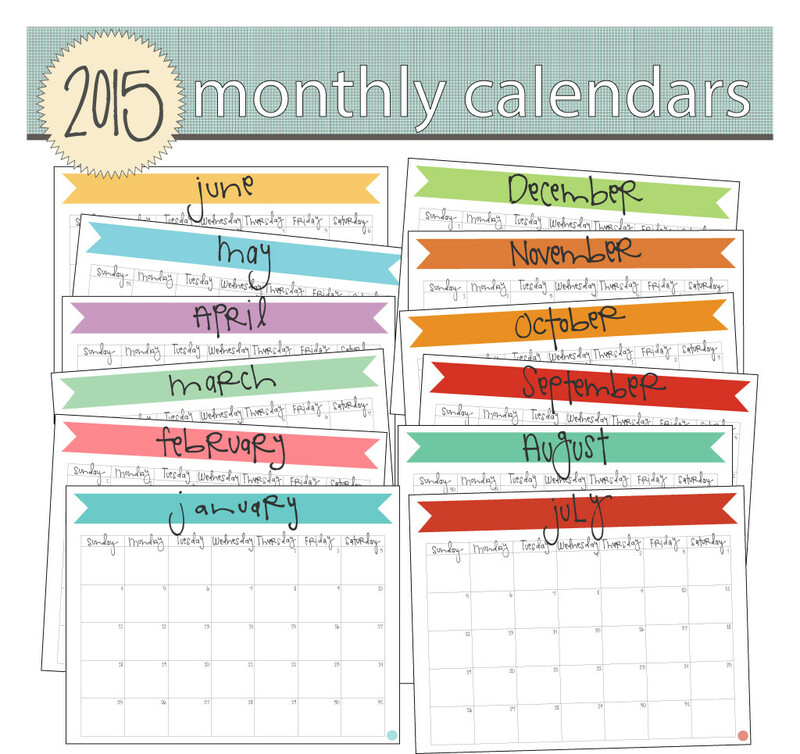 click here to download your free january 2015 monthly calendar!